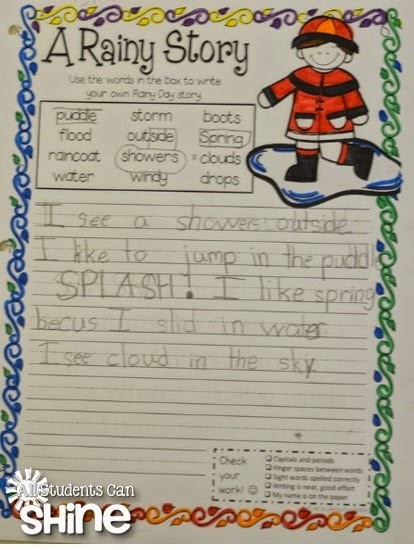 It's Raining, It's Pouring, My Students Are LEARNING! I'm here to show you what we did with our RAIN theme last week! What a blast it was!! 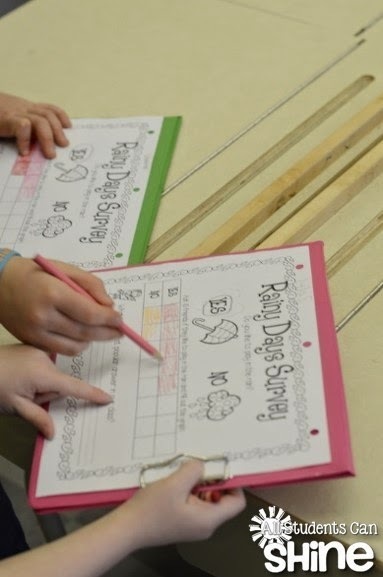 We started our week with a class survey. 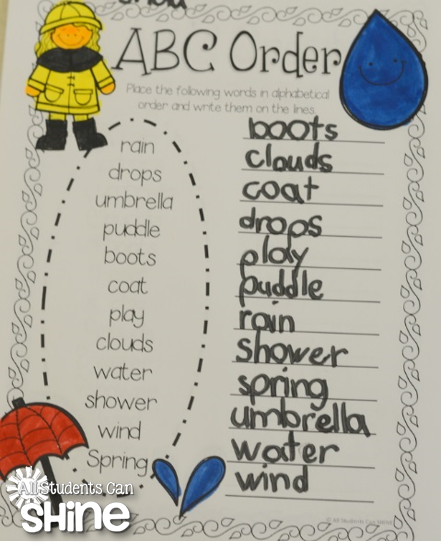 My students walked around the room asking each other if they like playing in the rain. 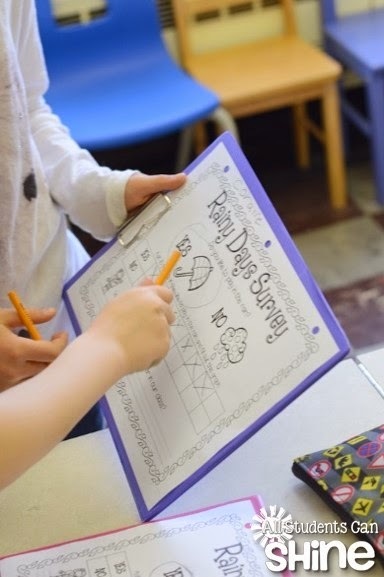 I taught them to tap on a friend's shoulder and have them point to their choice in the survey sheet. They are so cute when they are doing this... It is COMPLETE silence in my class and they are hard at work! 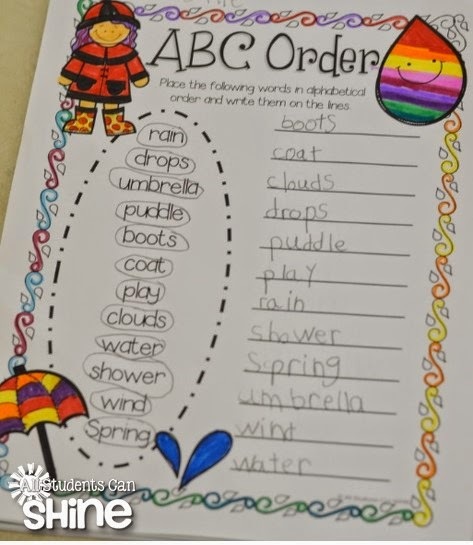 We worked on an ABC order activity with our new rain vocabulary words. Our writer'S workshop was SO much fun this week! 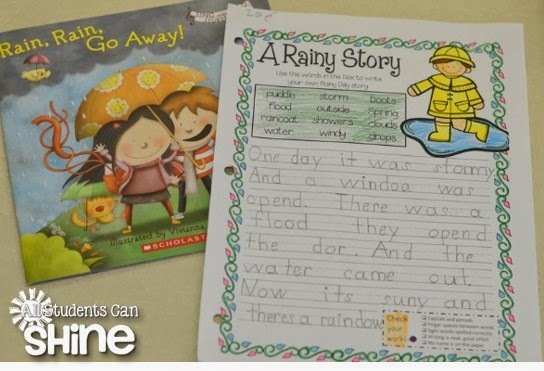 We read a book about rain (see picture below) to get our creative juices flowing for our class story. 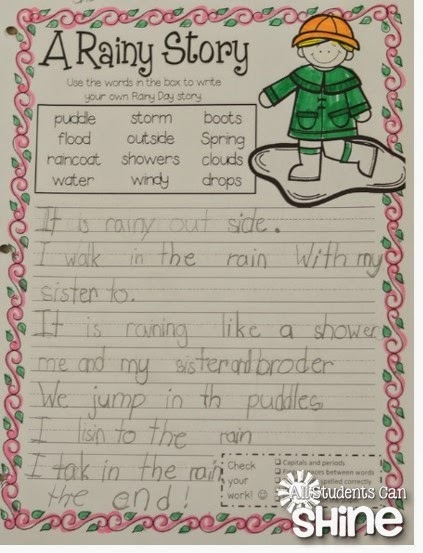 Then, we wrote a story together using all the rain words from the book. 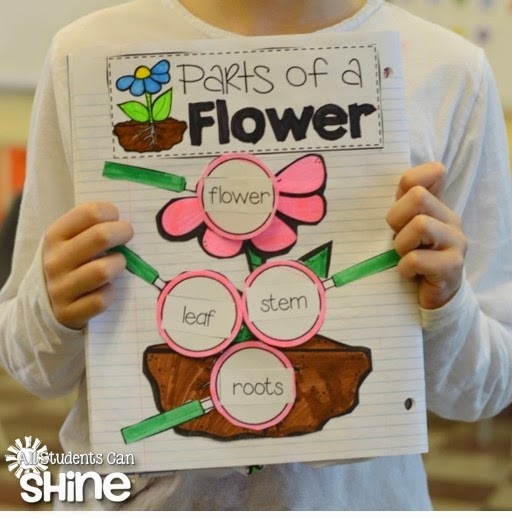 Take a look at our class story! After writing our class story, we got to work on our own stories. 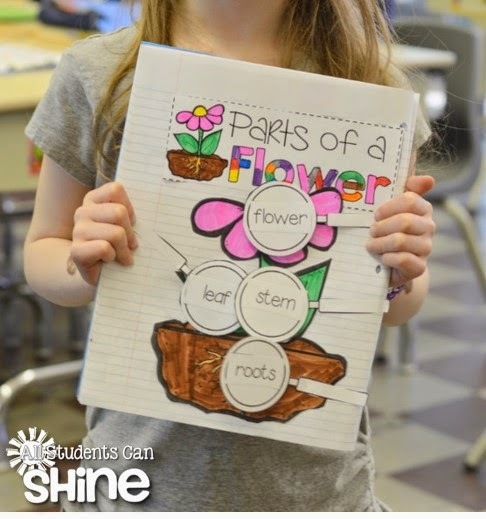 I"m SO impressed with how amazing they are at writing... They started the year not knowing their letter sounds and now look what they can do!! AMAZING! this page in our interactive notebooks. 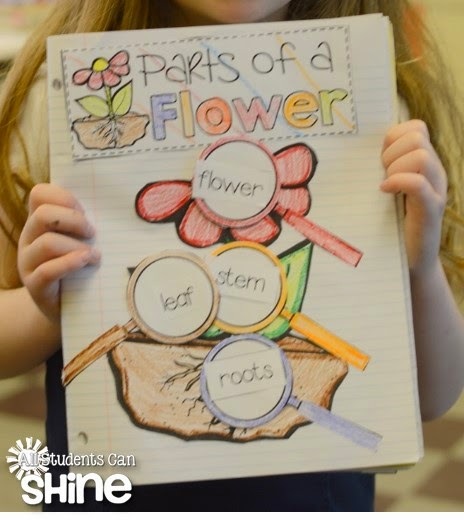 This interactive notebook activity is part of my plants FREEBIE. The BEST part of our week? 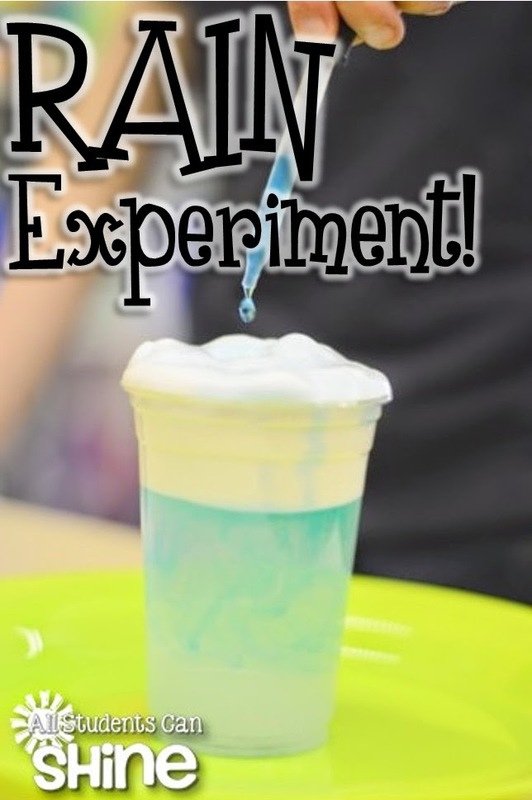 Our science experiment, of course! First, we put water in a clear cup (about 3/4 full). We then put shaving cream on top. This acted as our cloud. of food coloring to water. 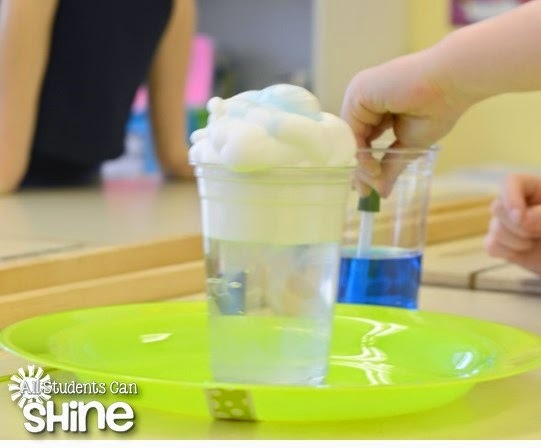 The kids took turns using the eye dropper to add water to our cloud. Once the cloud started getting too "full of water", it started to rain! We used a prediction sheet to guess what would happen before we put the experiment to the test. You can find everything you see above (and more) in my "Raining Cats & Dogs Craftivity".